Labour. I'm lucky to be in one of the few seats where Labour, Lib Dem and Greens all have a fairly equal chance, where the Tories have basically none (under 10k last election). In any other election, I'd have done a proper analysis against the three. But this is the only chance to give May a bloody nose, and I want to leave her reeling even if she eventually wins. My Facebook feed has been entirely Labour (with a couple being Green) and I think a lot of people are setting themselves up for disappointment. 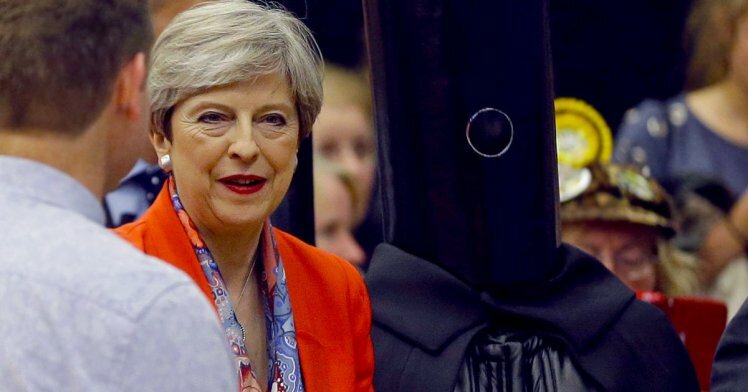 My one hope now is that the curtain has been pulled back on May to reveal she's a soulless automaton with no actual leadership skills, and that Labour don't have another civil war. Corbyn actually seems to care about other human beings and willing to listen. Facebook feeds can be deceptive. There often echo chambers. I do hope that Labour do advance however. Labour will win without a doubt if, and this is a big if, people go out and vote. The big reason why Brexit won was due young people staying home and not voting. And that was with a slim margin. Every vote counts and generally any vote not cast can pretty much be seen as support for conservatives. Same thing here in Sweden. When people do not go out and vote then conservatives wins. Because old conservatives always vote. always. I also voted Labour. I live in a labour stronghold so I could have voted for someone else without feeling like I was feeding the Tories but Uncle Jez really turned me around on labour and now I think they're ****IN' NEATO. My one hope now is that the curtain has been pulled back on May to reveal she's a soulless automaton with no actual leadership skills, and that Labour don't have another civil war. That's going to happen no matter what the results are. Corbyn could win a landslide and they'd still **** him over. In the first five seconds of this video I decided that I like Hitler better than this guy and switched it off. The only comment I'll make is that this isn't shopped. And how's that for bloody nose you wheat-field running, fox-hunting, ivory-trading lizard woman. This is the best I hoped for.